They’re strong. They have a remarkable work ethic. They have unbridled enthusiasm. They’re also fiercely protective. 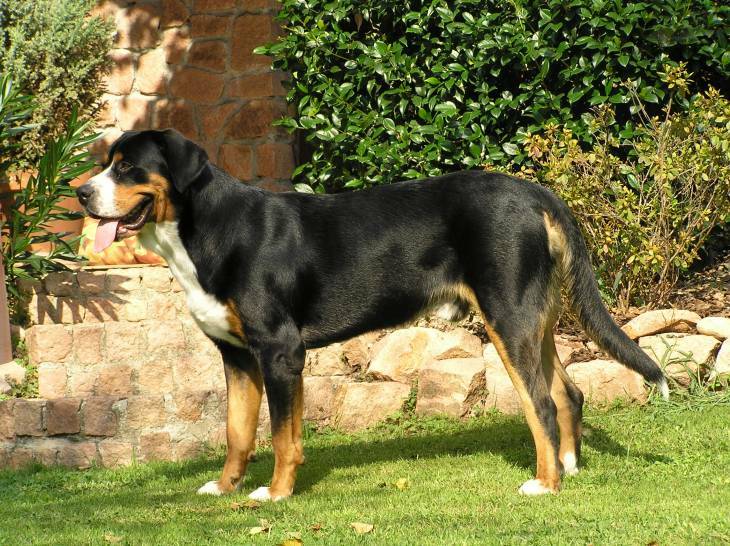 The Greater Swiss Mountain Dog comes equipped with a lot of tremendous qualities that appeal to potential dog owners. But do they come with an intimidating price tag? The Greater Swiss Mountain Dog, affectionately known as the Swissy, is a large, athletic dog with short hair. They have immense power, and with proper training, they can use their strength to do pretty impressive things, like pulling carts weighing more than a ton. Despite this might, they do have an excellent reputation for being extremely gentle with young children. Generally speaking, the cost of a purebred Swissy will run you between $1,500 and $2,300. There are certain metrics that drive the price, such as whether or not they are a show quality dog or just bred to be a companion pooch. Rarity is another factor behind the dog’s price tag -records indicate that only around 500 Swissys are registered in the United States each year. Once you initially purchase a Swissy, you should bear in mind that there are several costs involved in the first few years of his life. This would include vaccines that would be consistent with any breed of dog you would purchase, such as rabies or distemper/parvo. Since this breed is considered an outdoor dog, it's also a good idea to have him periodically tested for conditions like Lyme disease. You should also be aware of long-term costs of certain medical conditions typically associated with the breed. Swissys are particularly prone to orthopedic conditions, such as hip and elbow dysplasia. In some cases, these conditions could end up costing owners a pretty penny. While the monetary value of a Swissy is well documented, it is wise to think of the other, more intangible costs associated with owning the big breed. Specifically, a Swissy will take up a lot of your time and quite a bit of energy to get him trained as an ideal pet. While you may have the cash to pick up a Swissy, you may want to look elsewhere if you can't back up your funds with the needed elbow grease. For example, Swissys are notorious for being very slow to mature from both a mental and a physical standpoint. This rate lags behind quite noticeably compared to their physical growth. When you consider that these dogs are loaded with personality, it becomes quite clear that training at a young age becomes essential so that they can channel their enthusiasm in a proper manner. Socialization plays a vital role in a Swissy’s training as well. Because of their personality, it is important that you introduce the dog to plenty of people, animals, and situations at an early age, preferably starting at around 12-16 weeks. Trying to cut corners here may lead to a dog that exhibits poor or potentially destructive behavior, which could cost you even more money. From an energy standpoint, you will want to make sure to give your Swissy plenty of opportunities to “burn off” his enthusiasm. Due to the workhorse nature of the breed, Swissys do require plenty of physical stimulation to be happy. Therefore, if you live in a small home or apartment that doesn't have an abundance of outdoor space, your best bet is to find another breed. Before you run out an buy a Swissy, it is wise to take some time to assess your budget, your living space, and your life demands to determine if the breed is right for you. Yes, the dog may be a big ol’ adorable breed, but the qualities that you desire from him only shine through within a proper environment. Anything less does a grave disservice to the dog. However, if you determine that you have the budget, the time, and the space to welcome a Swissy into your life, you will have a loyal companion by your side. Swissys look intimidating, and their inherent athletic nature makes them appear as such. But in reality, a properly trained Swissy will have no problem displaying his devotion and allegiance to you. German Shepherd Lab Mix (The Sheprador): 2 Fave Breeds in 1!